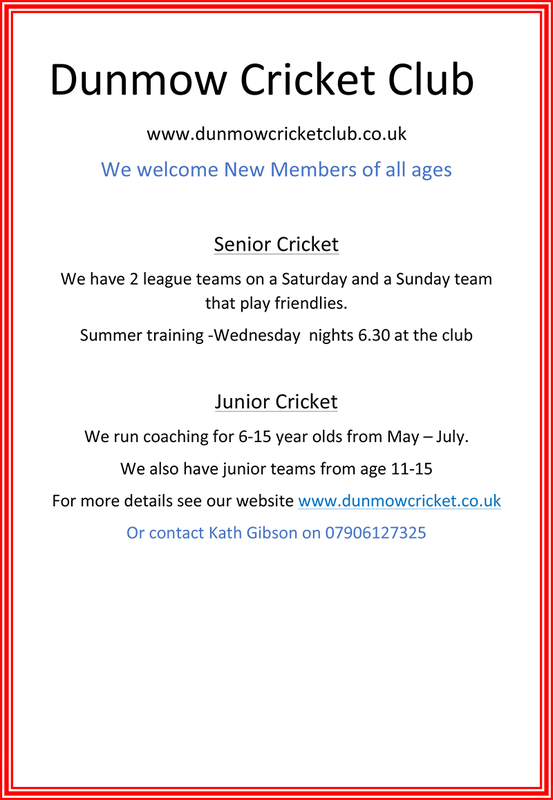 Welcome to the website of Dunmow Cricket Club and thanks for your interest. We are proud to be a club that serves our local community, promotes the development of youth cricket and plays cricket competitively but always in the spirit of the game. We are holders of the ECB Clubmark Award in recognition of the contribution we make to the development of cricket locally. Cricket has been played in Dunmow since 1895 and those that play currently see themselves as custodians of the legacy we have been left with. Blessed with our own picturesque ground, we are able to field two competitive sides on Saturday in the Two Counties League and a friendly Sunday side. In addition, we field junior teams at all ages from Under 9's to Under 15's. We are always looking for new members to play, coach or support the club in any other way. Should you wish to get involved, contact us via Facebook or through the website; you can be assured of a warm welcome.